Helen Hope Kimbrough is the author of four multicultural children's books, including Ocean Waves and Other Tales, Play Dates and Other Tales, My Soul/African American Spirituals. 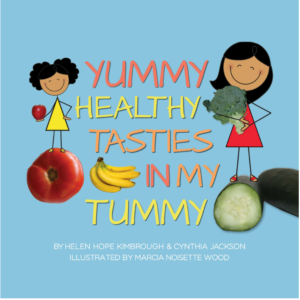 She will be signing her fourth book, Yummy, Healthy, Tasties in My Tummy, on Saturday morning at Main Street Books. Yummy Healthy Tasties In My Tummy uses beautiful illustrations and tasty food images to help children learn about different foods in their natural state and the many ways those foods can be eaten.